Houston criminal attorney Tad Nelson has over 25 years of experience fighting for the rights of Texans accused of a criminal offenses by law enforcement. 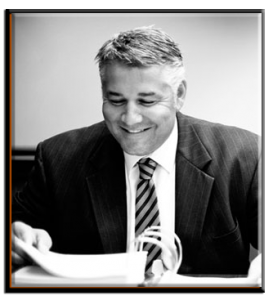 Tad Nelson is also Board Certified® by the Texas Board of Legal Specialization in criminal law, and holds scientific credentials as an ACS/CHAL Lawyer-Scientist. In the United States, there are less than 20 criminal defense lawyers who hold such a distinction and even fewer who practice law as their primary mainstay. Tad Nelson has been actively working to be the best criminal defense attorney in Houston ever since he graduated from the Thomas M. Cooley Law School in 1991 where he earned his Doctor of Jurisprudence (law degree). He’s held in good standing his license to practice law in the state of Texas since November of 1991 and has never been disciplined. Prior to becoming a student of the Thomas M. Cooley Law School he attended the University of Texas at Austin. Attorney Tad Nelson actively pursues higher education as it relates to serving the best interests of his clients. He’s a graduate and member of the National College of DUI Defense® (NCDD), an ABA accredited organization dedicated to the improvement of the criminal defense bar, and a one of only 10% of top criminal defense lawyers in Houston who are Board Certified® in “Criminal Law” by the Texas Board of Legal Specialization. The Texas Board of Legal Specialization (TBLS) is a body authorized by the Supreme Court of Texas that’s charged with certifying attorneys against strict requirements in 21 specific areas of the law. Prior to becoming Board Certified® in any field of law an attorney must have written recommendations from a predetermined number of sitting judges & attorneys, have practiced law for a predetermined number of years, undergo and pass rigorous testing, and have no disciplinary problems. Once an attorney is certified by the TBLS they’re considered among the best in the field of law practice in which the Board Certification was issued, and are the only lawyers allowed to use aggressive language during their marketing efforts & when referring to their law practice during the process of offering their legal services to the public. Board Certified® criminal defense attorney Tad Nelson is also a graduated scientist due to his successful completion of the Hands-On Forensic Chromatography Course which is overseen by the American Chemical Society (ACS). When your lawyer is a scientist it gives a rare edge to your defense in that your attorney is qualified on matters involving forensic evidence. In this day and age, forensic evidence is more often than not the basis of many allegations by prosecutors and the reason why numbers of already convicted persons are exonerated. As your local ACS/CHAL Forensic Lawyer-Scientist, Tad Nelson is well aware of proper evidence handling procedures, adequate evidence storage techniques, and a master of destroying the validity of evidence handled by antiquated means. In short, if the science is improper, “bad”, or not conclusively in support of the DA’s case, Tad Nelson can immediately render is useless for evidentiary purposes by the prosecutor. By the same token, Tad Nelson knows how to use “good science”, and/or the lack thereof, for the benefit of clients of the Law Offices of Tad Nelson & Associates and does so on a normal basis. 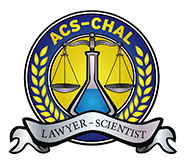 Attorney Amber Spurlock, another one of lawyers on our legal team, is also an ACS/CHAL Forensic Lawyer Scientist making our legal practice one of the most complete & state of the art criminal defense law firms in the Houston area. Houston Criminal Attorney Tad Nelson is also capital case certified meaning that he’s authorized to defend persons facing trials in which a guilty verdict may result in the death sentence.